Interest in Russian nuclear technology is growing in Europe, with Kudankulam constructor Rosatom making steady inroads in Europe. Back in the day, the Soviet Union built nuclear power plants in Bulgaria, Hungary, Czechoslovakia, Finland and Germany. Most of them are still in service and doing fine. In the post-Soviet era, Russian corporation Rosatom, which is involved in the construction of the Kudankulam Nuclear Power Plant, did not abandon efforts to continue operating in the European Union, and those efforts have finally started to pay off. For example, the Czech Republic has switched from American nuclear fuel assemblies to Russian-made ones due to the latter’s better reliability and safety. 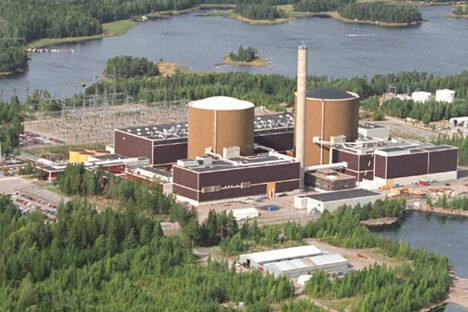 Finnish company Fennovoima and Rosatom Overseas signed an agreement this summer to develop a draft contract to build the Hanhikivi 1 Nuclear Power Plant in Finland. The Russian company intends to obtain a 34 percent equity stake in Fennovoima. If the partners agree on all aspects of the deal, the project will be a breakthrough for modern Europe. It’s worth noting that two units of the Loviisa Nuclear Power Plant were built in Finland to Soviet designs. Many independent experts have ranked it among Europe’s best in terms of both economic efficiency and safety. Finland’s nuclear supervision authority, STUK, is considered to be one of the world’s toughest, making Finnish specialists’ choice of Russian technology all the more honourable. Nuclear generation accounts for around 25 percent of Finland’s total power output, which is even more than in Russia, where nuclear plants generate more than 16 percent of power. The Finns were the first in Europe to announce that Rosatom offers the world’s best nuclear energy solutions for peaceful purposes. The Czech Republic could become the next nation to choose modern Russian nuclear power designs. A Czech-Russian consortium offering the AES-2006 project is bidding at a tender for the construction of two power units at the Temelin Nuclear Power Plant. Russia is building six power units of this design at home in addition to two in Belarus and four in Turkey. The AES-2006 is a generation 3+ power plant meeting all post-Fukushima safety requirements and featuring a unique combination of active and passive safety systems. The project also meets all International Atomic Energy Agency (IAEA) and EU parameters. The AES-2006 features a double containment designed to withstand a hit by aircraft weighing up to 400 tonnes; passive cooling systems for the active zone and the shielding container combined with four-channel active systems; hydrogen afterburners; and a core catcher. No other design in the world provides more safety measures. Had such a plant been subjected to the same kind of natural disasters the Fukushima did in March 2011, it would have withstood even such extreme impact. Stress tests run after the Japanese disaster have demonstrated the resilience of the Russian design to various cataclysms. The Rosatom-designed advanced nuclear power plant is capable of stopping nuclear fission, dissipating residual heat, and ensuring safety all on its own, even if its power supply system and water stations are knocked out of action indefinitely. Great Britain is yet another European country that is taking a long hard look at Rosatom’s nuclear power plants. A road map for Rosatom’s potential debut in the British nuclear power market could be signed as soon as this year. Fennovoima’s decision may be a positive sign for other European countries that are still gripped by a post-Fukushima fear of nuclear power generation.